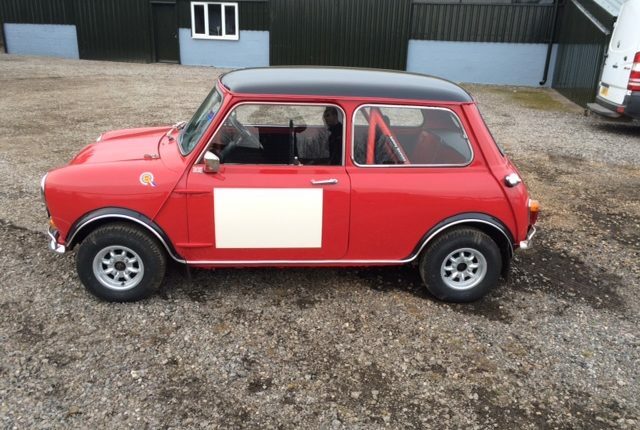 Superb little car, lots of money recently spent. 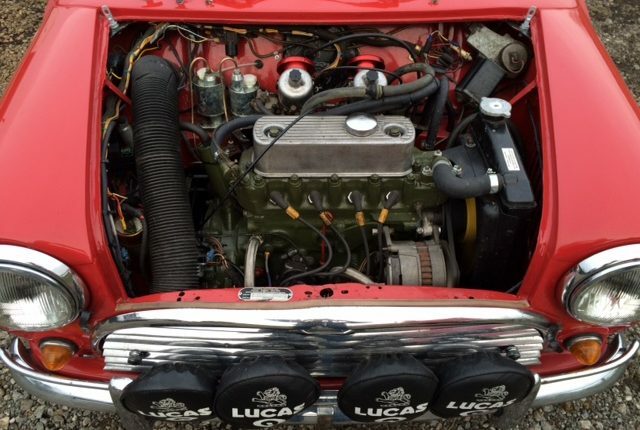 Very straight and solid shell, recently just fully resprayed, Full SD roll cage, works type sump guard, full rally interior, 130mph speedo, be spoke rally dash ink trip meter, period metal Avanti map light etc., High spec 1275 rally engine on Twin 1″ 1/2 SU carbs just been rolling road tuned and set up with dyno sheet showing healthy power, rally spec cylinder head, competition cam etc., comp clutch, s/c c/r gear box with new LSD, cooper discs & shafts, adj dampers all-round, adj TCA’s, new minilite wheels. 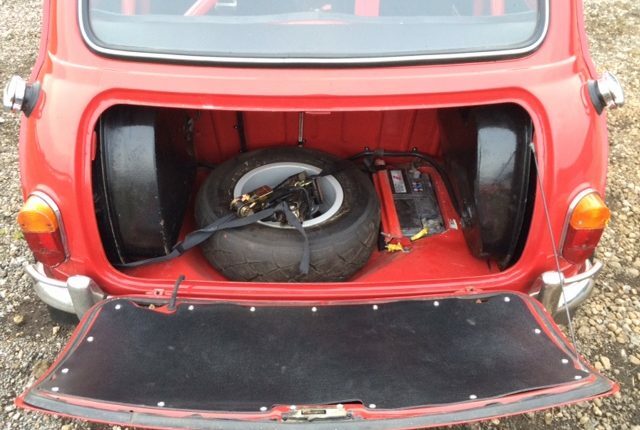 Just been 4 wheel aligned. 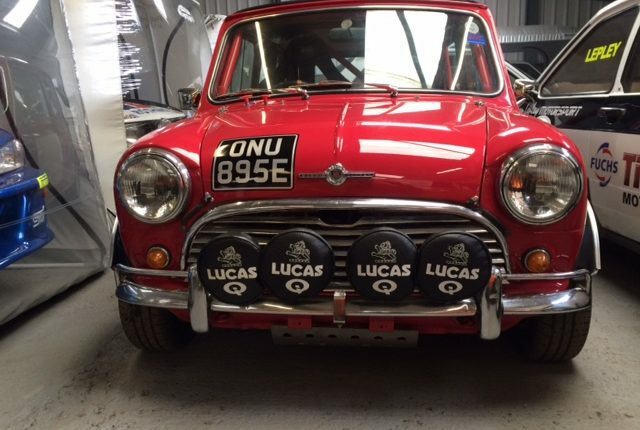 Twin fuel tanks, elec fuel pump, all lines inside the car, centre exhaust and LCB, works lamp bar with 4 lights and lucas covers, boot mounted reverse light, and Much more, call for further details and decryption. 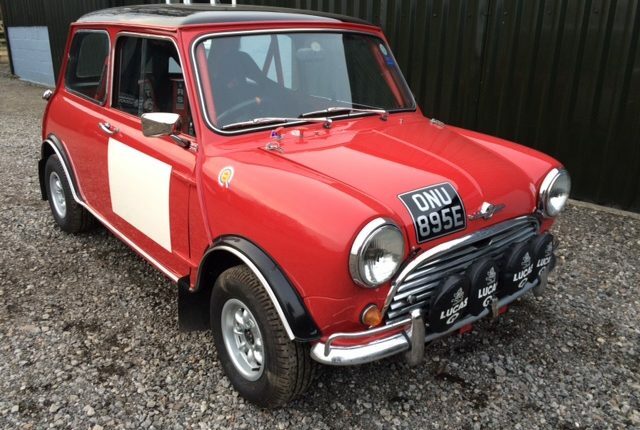 Original Cooper V5C, MOT, Tax exempt. 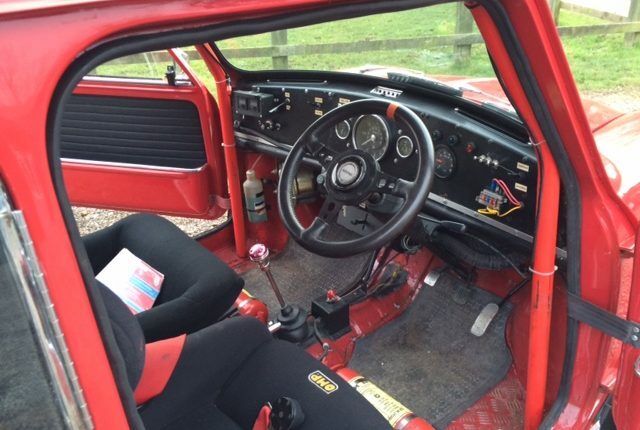 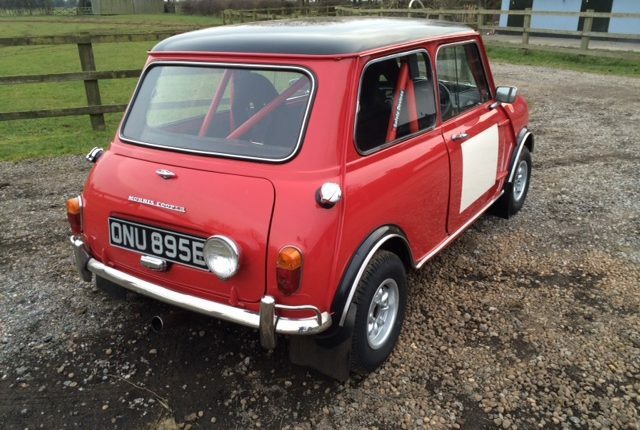 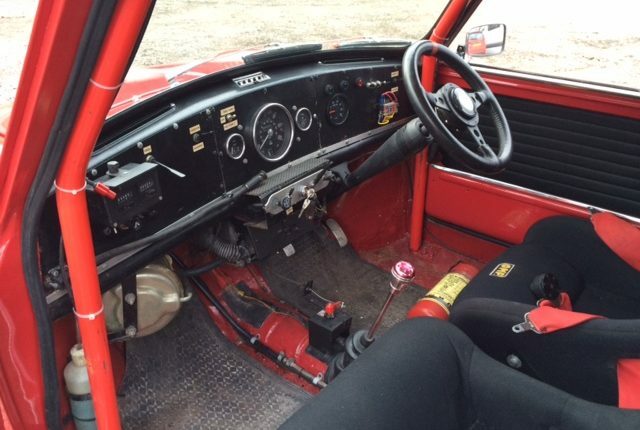 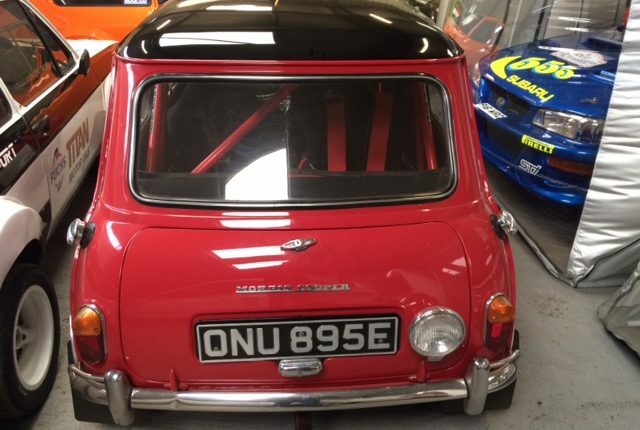 Really pretty car Ideal Mini Cooper enthusiast’s car, or for historic rallying, classic tours, regularity events etc….. fun car and great investment.